Service computing is an emerging and distributed computing mode in cloud service systems, and has become an interesting research direction for both academia and industry. Note that the cloud service systems always display new characteristics, such as stochasticity, large scale, loose coupling, concurrency, non-homogeneity and heterogeneity, thus their load balancing investigation has been more interesting, difficult and challenging until now. 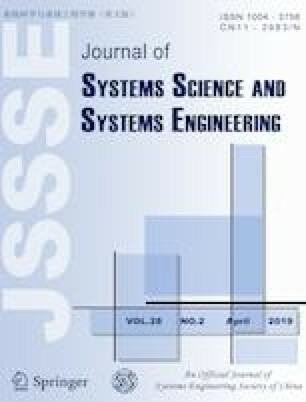 By using resource management and job scheduling, this paper proposes an integrated, real-time and dynamic control mechanism for large-scale cloud service systems and their load balancing through combining supermarket models with not only work stealing models but also scheduling of public reserved resource. To this end, this paper provides a novel stochastic model with weak interactions by means of nonlinear Markov processes. To overcome theoretical difficulties growing out of the state explosion in high-dimensional stochastic systems, this paper applies the mean-field theory to develop a macro computational technique in terms of an infinite-dimensional system of mean-field equations. Furthermore, this paper proves the asymptotic independence of the large-scale cloud service system, and show how to compute the fixed point by virtue of an infinite-dimensional system of nonlinear equations. Based on the fixed point, this paper provides effective numerical computation for performance analysis of this system under a high approximate precision. Therefore, we hope that the methodology and results given in this paper can be applicable to the study of more general large-scale cloud service systems. Feifei Yang is a doctoral candidate at Department of Information Management and Decision Sciences, School of Business Administration, Northeastern University, Shenyang, China. She got her master degree at School of Economics and Management, Yanshan University, Qinhuangdao, China. Now, her research interests include queueing networks, the mean-field theory, service systems, resource management of big networks, and health care systems. Yanping Jiang is a full professor at Department of Information Management and Decision Sciences, School of Business Administration, Northeastern University, Shenyang, China. She received her Ph.D. degree of the management science and engineering from Northeastern University. Now, her research interests include decision analysis, service systems, health care systems, and other topics in operations research. She has published two Chinese monographs and over 80 papers in various academic journals, for example, European Journal of Operational Research, Computers & Industrial Engineering, Soft Computing and so on. Quanlin Li is a full professor at School of Economics and Management, Beijing University of Technology, Beijing, China. He received his Ph.D. degree at Institute of Applied Mathematics, Chinese Academy of Sciences, Beijing, China. He has published an English monograph (Constructive Computation in Stochastic Models with Applications: The RG-Factorizations, Springer, 2010) and over 60 research papers in a variety of international journals, such as, Advances in Applied Probability, Queueing Systems, Stochastic Models, European Journal of Operational Research, Computer Networks, Performance Evaluation, Discrete Event Dynamic Systems, Computers & Operations Research, Computers & Mathematics with Applications, Annals of Operations Research, and International Journal of Production Economics. Now, his research interests include stochastic models, stochastic processes, the mean-field theory, stochastic process algebra, game theory, queueing networks, computer networks, resource management in big networks, and health care systems. The authors are grateful to the editor and two anonymous referees for their constructive comments and suggestions, which sufficiently help the authors to improve the presentation of this manuscript. In addition, Yanping Jiangwas supported by the National Natural Science Foundation of China under grant Nos. 71871048 and 71571040; and Quanlin Li was supported by the National Natural Science Foundation of China under grant Nos. 71671158 and 71471160, and by the Natural Science Foundation of Hebei province under grant No. G2017203277.